14 Hands Winery-Merlot-Columbia Valley-Washington State-2011-13.5% Alcohol-$10.99-A nose of dark fruit and spice, dark garnet in color. A medium bodied Merlot, with cherry, blackberry, plum, some chocolate and spice on finish, a good QPR. NR CR-86 Good with meats, chicken, pasta. 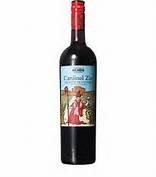 Big House Wine Co.-Cardinal Zin-Zinfandel-Beastly Old Vines-California-2012-13.5% Alcohol-$9.99-A nose of cherry and some spice, medium garnet in color. 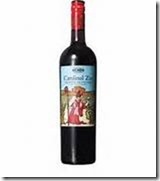 A medium bodied Zin with black cherry, blackberry, some pepper, nothing complex, easy drinker. NR CR-85 Good with meats, chicken, pasta.